Are you trying to find ways to improve the value of your home? Whether you’re remodeling a new home or fixing up an older property for sale, a fence is a cost-effective and easy solution. Fences have a few remarkable benefits that lead directly to home value increases. Curb appeal is essential to making a property sale. Bright, new fencing in the front yard will encourage buyers before they even step into the property. New fencing in the back will improve upon the appearance of even an empty backyard. 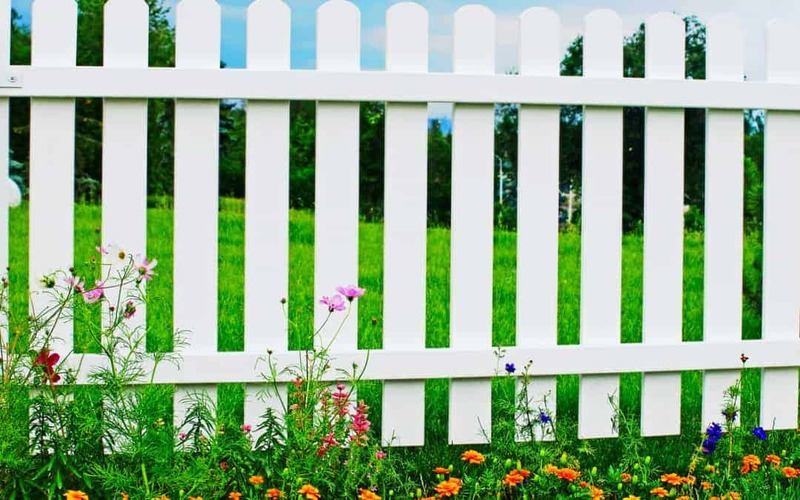 From black wrought iron fences to brightly-painted wood, fences can be purchased in a variety of styles and colors to drastically alter the appearance of your home. Many parents are concerned that their children may not be safe when playing in their backyard. Secured fencing means that strangers cannot enter the yard and potentially talk to or present a danger to children. Fencing also helps in making sure that younger children do not stray when they are playing outside. When there’s a pool in the yard, fencing becomes critical. Most pet owners will look for a home with a fence. Cat owners want to know that their cats can be safe in their yard while dog owners want to know that their dogs can run around without running away. If you’re in an area of pet lovers, having a fence may be nearly necessary to attract a buyer. In general, large wood privacy fences are preferred by those with pets. Most burglars and vandals will look for fairly easy targets. A fence makes it harder for an individual to break into a home — and it also makes it difficult for people to see inside of a home for things that they could take. Fences can be further secured with better locks, spiked tops, and home security systems to make them even more appealing to the security-conscious homeowner. To properly enjoy their backyard, many individuals want some form of privacy fencing. This lets them enjoy their yard and yard work however they want without having to worry about who is around and who can see them. It also makes it easier for them to throw parties and gatherings without having to worry about disturbing the neighbors. In general, wooden slatted fencing is best for those who are trying to improve the privacy of their yard. Contact a professional residential and commercial custom fencing install and repair by the local fence professionals at Rustic Fence that has served the Dallas-Fort Worth Metroplex for decades. In short, a fence will almost always increase the value of your home. Fencing is something that many homebuyers look for in a property — and even better, it’s usually a fairly easy to install option. Most fencing comes with a 10, 15, or even 20-year warranty, so it will continue to improve the value of your home even if you’re not intending on selling soon. (817) 275-2151 | Contact Rustic Fence Company Arlington. Ready to build? Give us a call at (817) 275-2151 or (972) 725-7984.